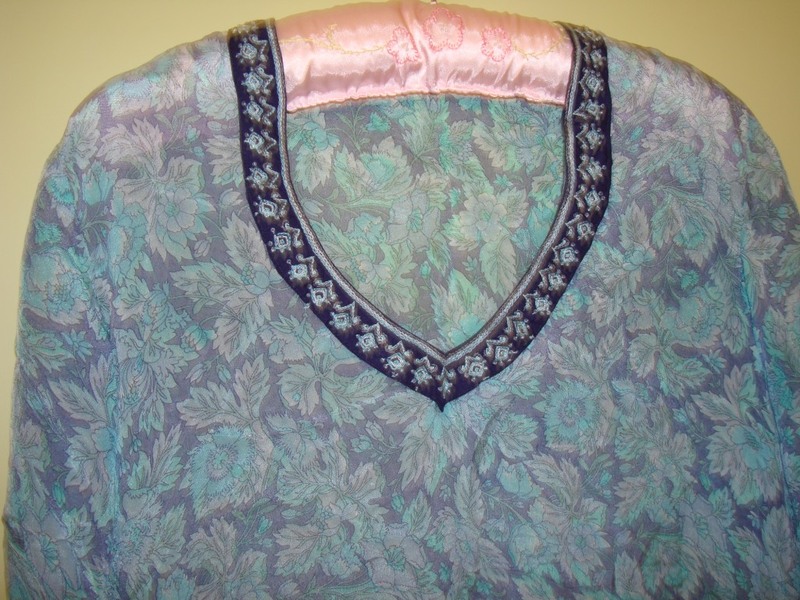 The tunic is silk chiffon in grey ,with light blue flowers. This tunic is designed to be worn over a sleeveless t-shirt in dark blue. So the embroidery is executed in dark blue fabric. The pattern is – small motif repeated along a line. 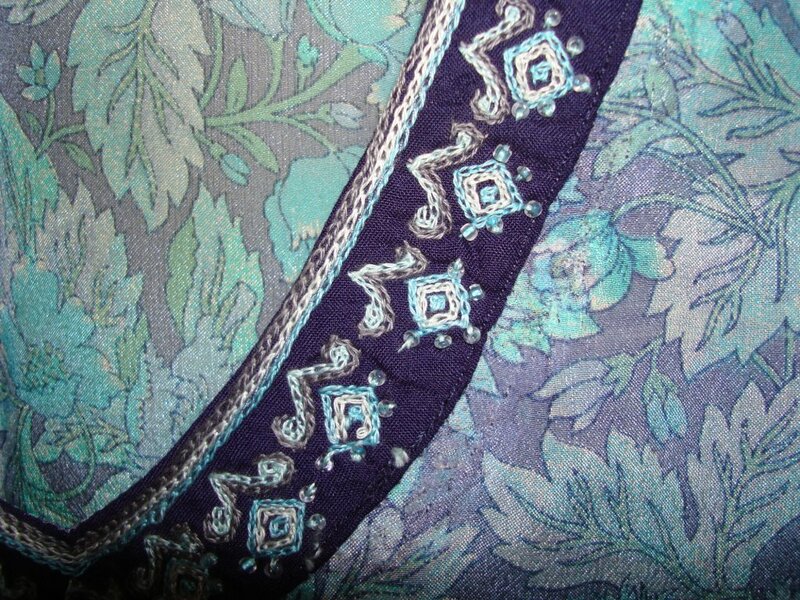 The whole embroidery is chain stitch in single strand.,the colours are grey and light blue.-anchor cotton skeins.